It was a stinkin’ hot Texas afternoon, and with some time to kill I searched for a fast slice. My iPhone quickly indicated I was close to Joe’s Pizza & Pasta on Bryant Irvin Road. Of course, being in Fort Worth it was no surprise to me that the place was named Joe’s. The map app tried its best to mess me up by sending me to North Bryant Irvin Road instead of South despite my not having entered any distinction in the address. 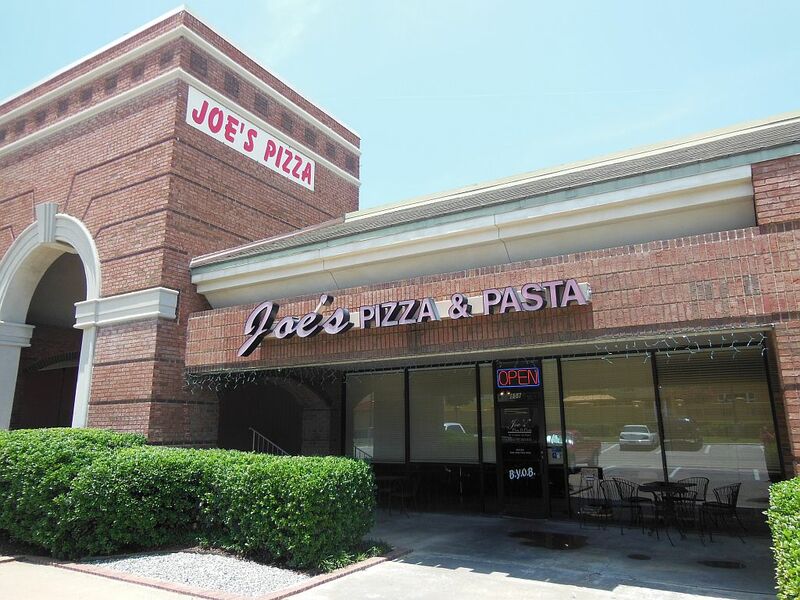 No surprise either that I found this Joe’s situated in a strip center since that’s all this area of Fort Worth seems to be—an endless sea of small shopping centers. The place itself was familiar as well. I immediately recognized it to be a place I visited a few years ago at Christmas time. 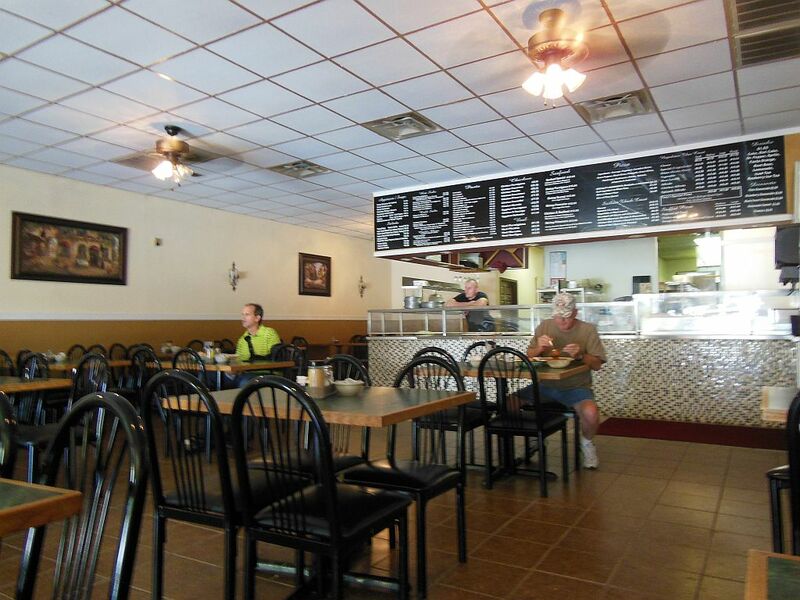 My recollection was good, so my hopes were high about getting a good, quick slice before my scheduled late afternoon pizza dinner with my father-in-law. Joe’s works from a fairly good-sized room of tables and chairs and offers a rather full Italian menu. As expected though, it was pretty dead at 1:30 on a mid-week afternoon. The curtains were drawn to keep out the hot Texas sun, and the staff was busy watching a “non-American” football game on the telly. (I hate the word soccer). I ordered a single cheese slice for $2.50, and their five-buck credit card minimum made me pull some cash out of my wallet. My future slice was waiting there for me with a few of its friends in a state of about 75% cooked. The server tossed it into the CPO (conventional pizza oven) while I waited at a table in hopes of maybe seeing someone score a goal. 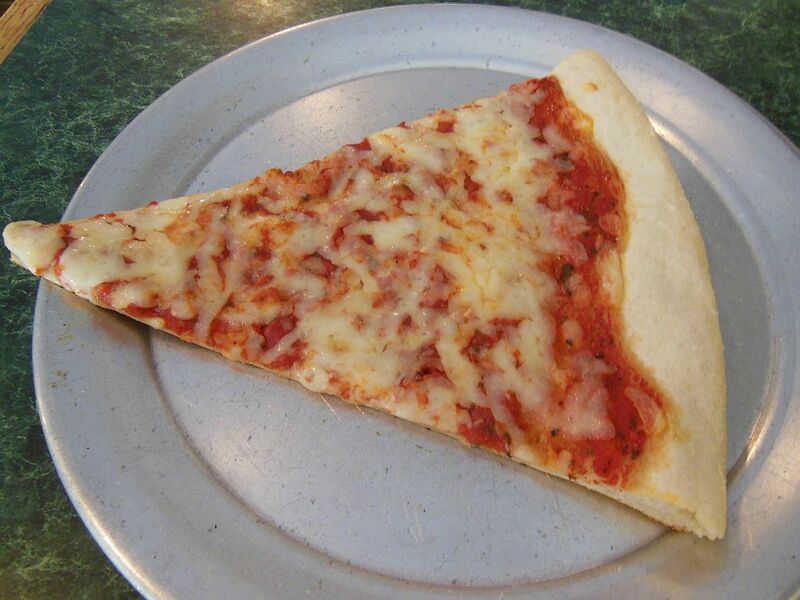 It didn’t take long for my slice to cook, and it served up looking pretty good–hot and firm. However, I did notice that the cheese was not melted consistently throughout the slice. It folded nicely and went down fast. Had I not needed to save my appetite for my next stop, I would have had another for sure. Hot, crispy and chewy were the words that best described it. Underneath it all, though, it wasn’t really anything that special. It leaned towards bland. Perhaps a fresher slice or my use of the table condiments would have gotten Joe’s a better score from the Snob. But I’m a purist, so I want it to be tasty without doctoring it up. Nonetheless, if I ever find myself on a Forth Worth shopping trip with the family, you just might see me sneak away to this Joe’s for a slice.